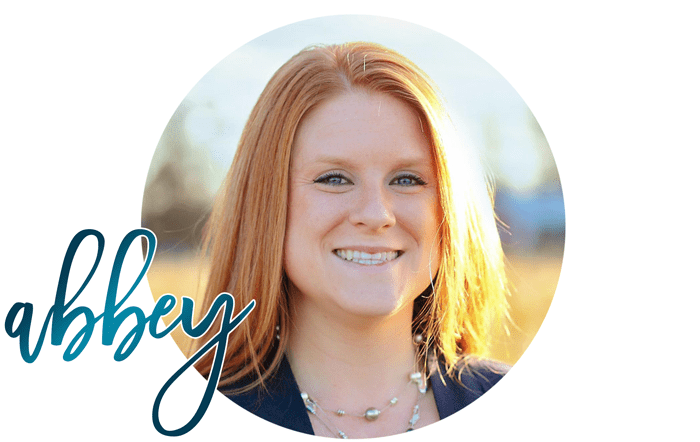 Truth be told, my family (or maybe just my husband and I) are homebodies. We enjoy spending time at home, relaxing, creating, and enjoying each other’s company. We’re more likely to go out to do something during the day, and then head home in the evening to relax and watch a movie. We like to watch family movies with the kids, but once they go to bed, we definitely enjoy some scary movies or even some action movies, as well. 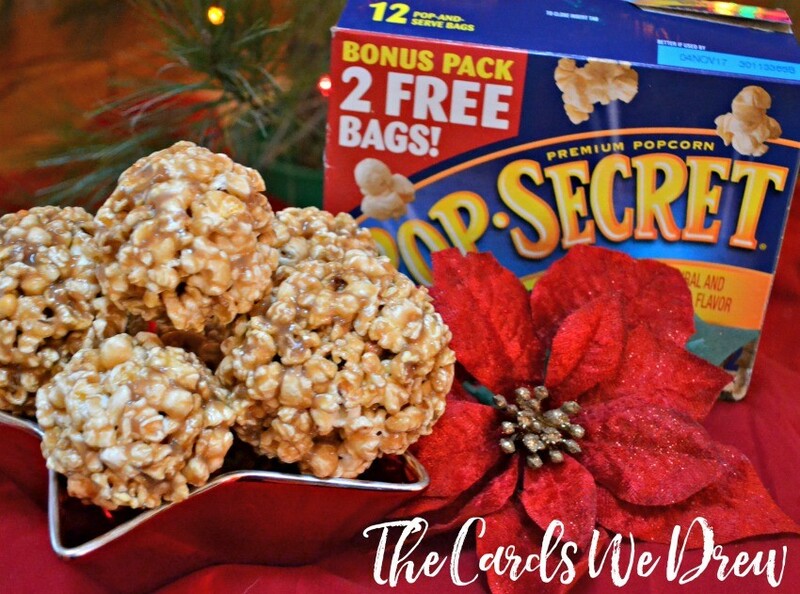 Today I want to share with you my favorite movie night snack….homemade Caramel Popcorn Balls!!! 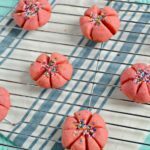 They’re so tasty and really simple to make! 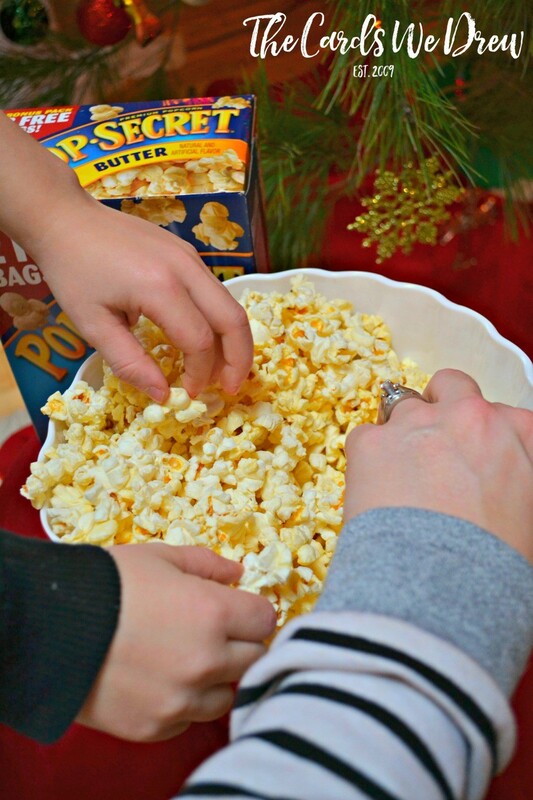 In a large bowl, get your popcorn ready and set aside after popped. In a saucepan on the stove, melt together the brown sugar, butter, and Karo Syrup and bring to a boil. 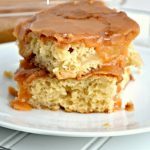 Then add your sweetened condensed milk. Bring to a boil again, remove from heat and pour over your bowl of popcorn. 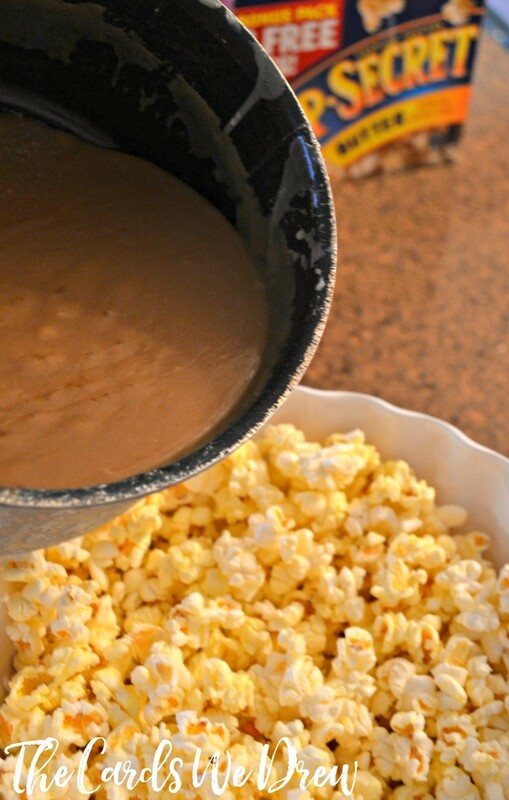 Using a spatula, mix together the mixture until the popcorn is well coated. Using plastic wrap, add about 1/2 cup of popcorn (or more) to a medium piece of plastic, bring together the four corners of the plastic, and shape into a ball. 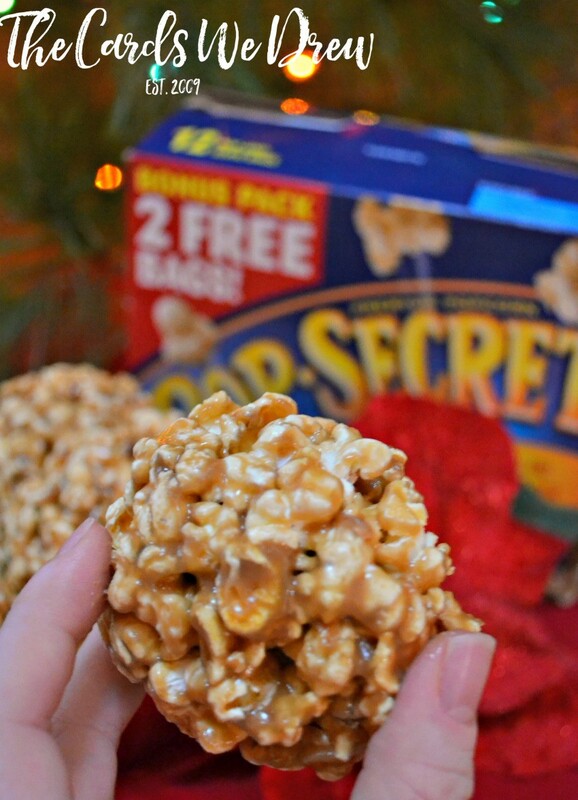 Let the balls cool, remove plastic, and enjoy your caramel popcorn balls for movie night! 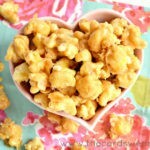 The result will be these delicious, buttery, gooey caramel popcorn balls that everyone will want! You can even top them and roll them in different bits of deliciousness like you so choose! 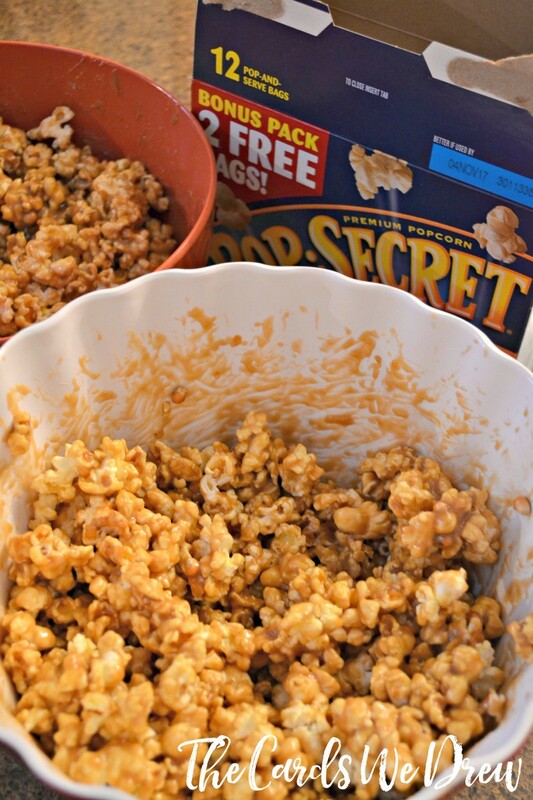 You could even half the recipe and make some popcorn balls and leave the rest of the popcorn for everything to share (popcorn is our favorite family snack…our house is rarely without popcorn!). 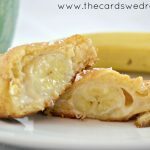 Enjoy your family movie nights this holiday season, I hope you enjoy this yummy treat!! I can’t eat microwave popcorn. How many cups of popcorn does 3 bags come to? I’d say about 2-3 cups per bag?? More or less.